As you’ll remember from episode 63 the Fly2Pole team are endeavouring to get several disabled military personnel to the South Pole in microlight aircraft. So, when the Flying for Freedom team held a sponsor’s open day a few weeks ago I popped down to Kemble for a bit of a catch-up. Last year at the Flying Show I met a chap called John Laity. 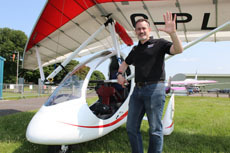 John is one of the founders of Flying for Freedom which aims to train injured ex-servicemen how to fly flexwing microlights as part of their rehabilitation into civilian life. In addition, Flying for Freedom is launching an expedition to the South Pole. 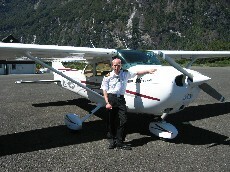 Their aim is to get a team of disabled pilots to fly to the pole and back. No mean feat. 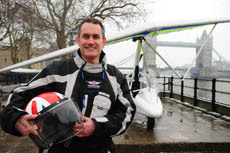 Episode 61 – David Bremner – British Microlight Aircraft Assoc. 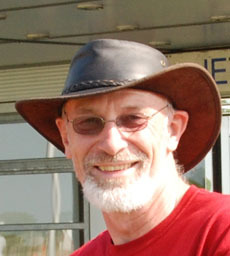 Having missed Dave Bremner at the Flying Show a few weeks ago, I eventually caught up with him. We all know what great strides microlighting has made in the last few years and what relatively cheap fun it provides for thousands of aviators but today I wanted to find out more about what the governing body gets up to. So who better to speak to than one of the bigger cheeses at the British Microlight Aircraft Assoc. 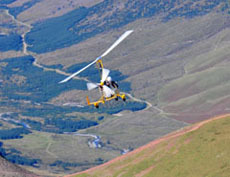 Today we’re up in the English Lake District talking gyrocopters with Andrew Lysser of Cumbria Gyroplanes. It’s been a while since we discussed the world of gyrocopters so I took this opportunity to get an update from Andrew. 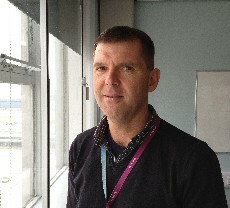 Today I’m down at Manchester International Airport to interview Chris Walsh one of the Air Traffic Control Officers working in the tower there. Following on from my chat with FISO, Mark at Barton, I’ve been asked by many listeners for a podcast featuring a fully fledged ATCO. So here it is. I was accompanied on my trip by fellow Barton aviator, Duncan, who also appeared on episode 50 of Flying Podcast. Chris, very generously, gave up a couple of hours of his free time to give us a guided tour of the tower and then settled into one of their meeting rooms, overlooking the apron, to answer all of our ‘ATCO’ type questions. 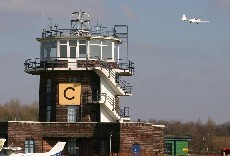 Today’s Flying Podcast finds me sat on the deck outside of Melvin’s Cafe at Barton Aerodrome. It was a typically beautiful Spring evening in Manchester, the sun was just beginning to set and the Goodyear Blimp was about to depart. They were off to film a football match from overhead for Sky TV at the Etihad Stadium. 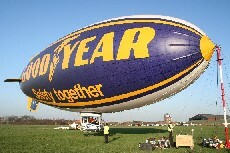 I took the opportunity to grab a few minutes with Chief Pilot Mark Finney before he saw the airship off on its flight. Although it started out as a quiet night it soon got noisy with the police helicopter arriving and then, believe it or not, an Army Apache helicopter too which never happens at Barton. 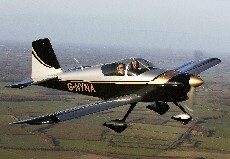 For this episode of Flying Podcast I was off down to Turweston Aerodrome to meet Andy Draper of the Light Aircraft Association. 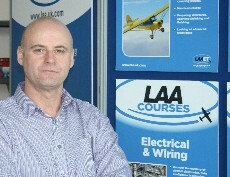 Andy is the Design Engineer with the LAA and having joined from kitplane company, Europa, he now looks after the modification work for LAA aircraft but also oversees the ongoing airworthiness of all the approved types. I was interested in finding out what the process was for building your own aircraft so who better to ask than Andy. If you recognize Andy’s photo on the web site that’s because he was involved in the TV show `A Plane Is Born’ some years ago, helping Mark Evans build his Europa kit plane. This podcast came about as a result of a conversation between myself and a fellow Barton aviator, Duncan Armstrong. We were chatting about our flying experiences and I happened to mention that I’d kept a diary of how my flight training was progressing. As I’m a firm believer in learning from my mistakes I thought that a log of what happened and when, during my time in the left seat, would come in handy as my time as a pilot progressed.